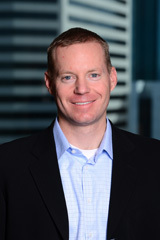 Colton King joined KRG Capital in 2007 as an Associate, and was promoted to Vice President in 2008, Principal in 2012, and Managing Director in 2015. King has served as a member of the Board of Directors for several of the Firm’s portfolio companies. Prior to joining KRG Capital, King worked for CHS Capital, a Chicago-based private equity firm, from 2005-2007 and from 2001-2003 (prior to attending business school). Prior to working for CHS, King was an Analyst in Merrill Lynch’s investment banking practice. King received his Master of Business Administration from Northwestern University’s Kellogg School of Management and graduated with honors with a Bachelor of Science degree in Preprofessional Studies from the University of Notre Dame.